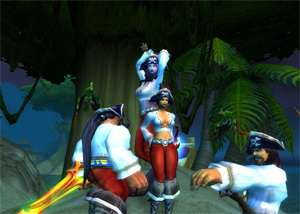 Daily quests are an important part of World of Warcraft. They’re used for gold farming, reputation farming, and some professions. Dailies are the quests that appear as a blue exclamation point instead of the standard gold one, and they can be done once a day, every day. Each of your characters can complete up to 25 daily quests per day, so you’ll want to pick and choose which ones you complete. All daily quests will grant you some gold, but some will grant you more gold than others. Here’s a quick dailies guide for gold farming to help you pick out the daily quests that bring in the most gold. The highest paying gold dailies pay out 22 gold, but they do require having four other people to complete them, so we’re focusing this dailies guide on daily quests you can complete on your own. Each of the daily quest areas in Northrend have about the same number of dailies available, but Sholazar Basin has a couple of quests that do pay 20 gold. There are 15 gold farming dailies in Sholazar Basin, although seven of them only pay 6 gold each. However, three of the gold farming dailies in Sholazar Basin do pay 20 gold, and the rest of them pay 13 gold each. This makes Sholazar Basin one of the highest ranking places for gold farming through daily quests. Just remember to check both of the two daily quest areas in Sholazar Basin. They are the Rainspeaker Canopy and Frenzyheart Hill. One good thing about these two areas is that you will also earn reputation with either the Oracles or the Frenzyheart Tribe. If you’re looking for consistency as far as gold earned per daily quest, then you should check out the Storm Peaks. There are 13 daily quests available in the Storm Peaks, and most of them pay 13 gold each. Most of the dailies in the Storm Peaks are located in either Dun Niffelem or Brunnhildar Village, but there is also one located in K3 and one located in Frosthold. Completing the dailies in the Storm Peaks is a nice way to do several quests all at once and walk away with some nice bank in a short amount of time. Another note about the quests in the Storm Peaks is that most of them earn you reputation with the Sons of Hodir. Another great place to do gold farming through daily quests is the Icecrown Skybreaker area. There are 11 daily quests on the Skybreaker, although two of them do require groups of five people. Those two pay out 22 gold, while the other 9 quests can be done on your own and pay out 13 gold each. The nice thing about the Skybreaker is that all of these quests are located in a rather small area, so there’s less time running around and gathering up your daily quests.